The VATICAN! Need I say more? 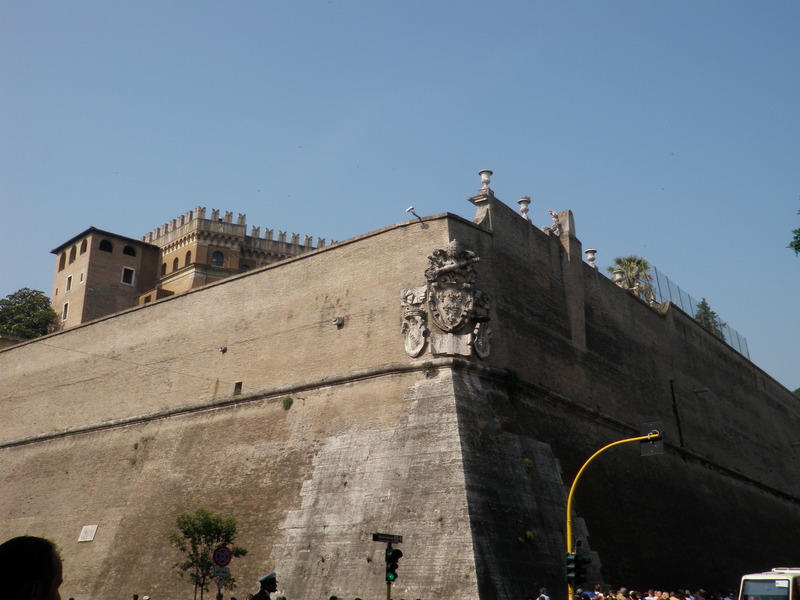 Readers, if you are interested in this sort of thing and plan to take a trip to Vatican City then I advise you block at least one entire week just for this little city. We spent an entire day there and I was so overwhelmed by the end we went almost immediately home. No more sightseeing was to be had. 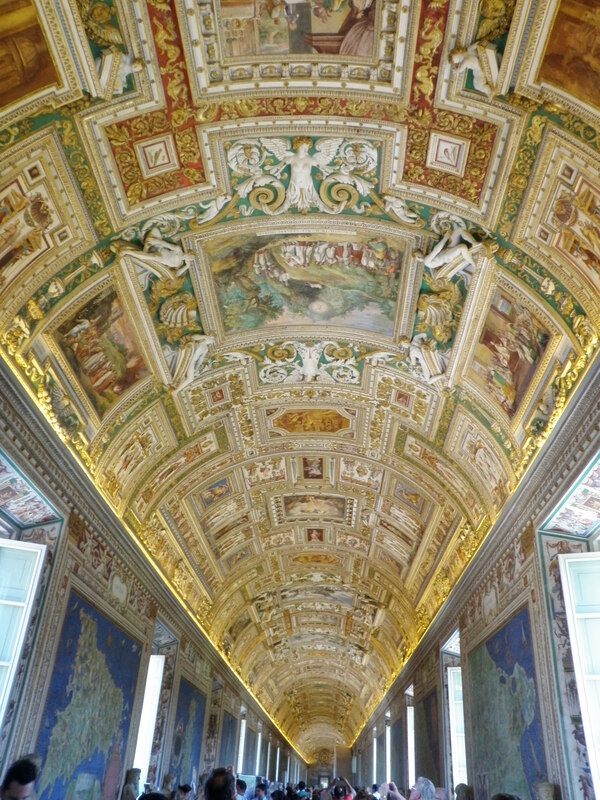 The Vatican collections are vast, elaborate, beautiful and… well very very shiny. To use part of a quote from an anonymous Monsignor I had the opportunity to chat with, “we have an embarrassment of riches.” Embarrassment, I’d say. The Vatican has more money wrapped up in its artifacts and in the display of them that you could feed the world forever I think. We had an incredibly interesting meeting with Dott.ssa Alessandra Uncini, Head Registrar in the morning before beginning our walk-through. The Royal Collection held at the Vatican was not a museum BORN as a museum, in 1506 Pope Julius II acquired the first statues that would later begin the collections. Collections were built through personal commissions of the Popes, Cardinals etc and also many artifacts were brought back by missionaries after travels to foreign lands. Like I mentioned with the Borghese collections, in 1798 when Napoleon overthrew the Pope and the museums many of the artifacts were taken away to Paris not to return until 1815 after Waterloo. This return was curated by Antonio Canova, a sculptor, and the Vatican Museums’ first curator. If you ‘d like to talk about a curator’s nightmare, absolutely no catalog was in existence for the more than 150,000 artifacts until the 1950s. The cataloging system was designed specially within the Vatican and allows them very careful tracking of the movement of any artifact. The Museum has an interesting setup which includes many employees but seven very specialized registrars who all report to ministry. Anymore there is very little acquisitions within the museums, and even less deaccessioning as in keeping with Italian common heritage and cultural identity – you DO NOT deaccession your own history. 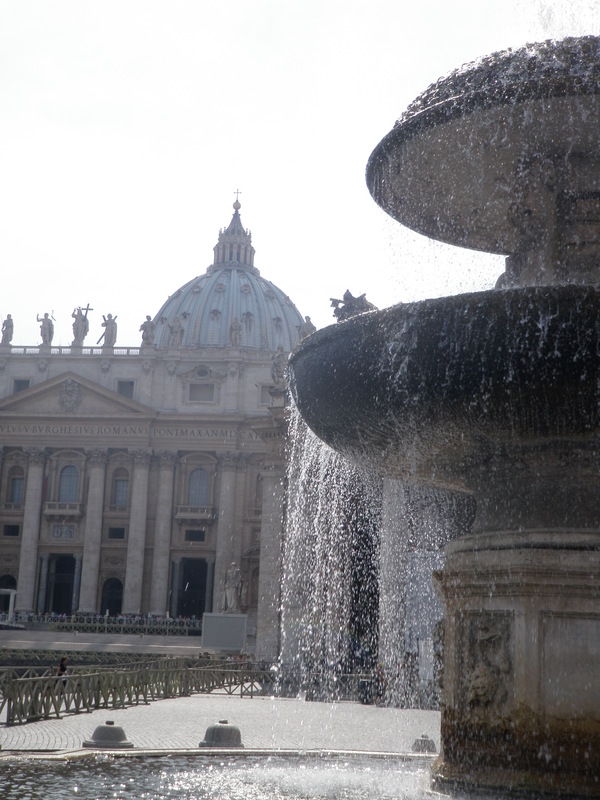 Best parts of the day – Sistine Chapel and St. Peter’s Basilica. 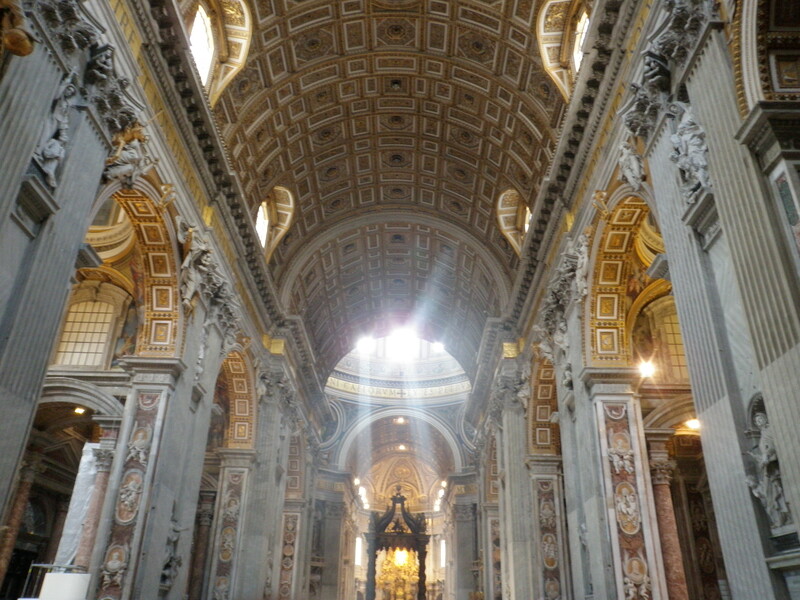 Both incredibly beautiful and true must see places if you go to Rome. Okay, earlier in this blog I may have lied but I COMPLETELY tried to block out of my mind what happened after the Vatican that day. A couple of my fellow classmates and I did a little souvenir shopping in some shops across from Vatican City. One of them you super stereotypical shop with key chains, shirts, hats, toys etc. was run by a little Asian family. We went in and were browsing and I saw a bottle opener key chain in the shape of Italy that was red, white and green. The perfect cheesy gift for my sister, right? I pick it up with intentions of buying it, and get super distracted by some scarves, I set the magnet on a shelf and immediately try them on for Luciana to approve. We do this for like ten minutes, my pre-buying sense of my post-buyers remorse kicks in and I say NO and we walk out (myself forgetting all about the magnet). We’ve been down to a couple of other stores and are walking back the other way to catch a bus and WHAM, little Asian family is accosting me in the street and trying to tear my purse open. TERRIFYING, none of us had any idea what was going on, nor could we understand. Then I realized they thought I stole the magnet, I walk back into the store with them still attached to me, the woman trying to unzip my purse, pick the magnet up off the shelf and hand it to the man who was screaming at me and pointing at the ceilings (about cameras I think). He stops, the woman…still trying to get into my purse, lucky for me she weighed maybe 100 pounds less than me, I knock her off and walk out of the store. Luciana and Erin staring on in pure terror. I’ve never been accosted like that before, especially after spending an entire day in one of the holiest places in the world. Honestly, I don’t steal and if I was going to it wouldn’t be at the risk of a 2 euro magnet. Notice Jenni, you never received this magnet. Ahhh, Rome.